At ProMotion Prosthetics, we strive to do all we can to ensure our clients are able to achieve optimal outcomes and achieve their personal goals. However, it is not without the dedication, hard work and positive attitude of our clients that they will be able to reach their full potential. Needless to say, we are extremely proud of each and every one of our clients as we see them reach that potential and are always thrilled to be a part of their journey through rehabilitation and beyond. One particular client whom we must acknowledge and owe a great deal of credit to for coming so far to achieve his goals is Mohammed. In early 2017, Mohammed arrived in Australia from his hometown of Malang, Indonesia to begin studying a Master degree in Law at the University of Melbourne. It wasn’t long after his arrival that we had the pleasure of being introduced to him. Four years prior to this, he had undergone an amputation of his left leg above the knee after sustaining serious injuries in a road accident. 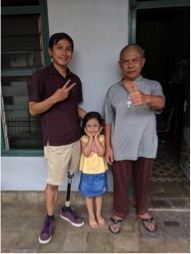 Unfortunately he was never fitted with a prosthesis in Indonesia, nor had he ever met a prosthetist. Unlike in Australia, Indonesia does not have in place the same level of funding for prosthetic or amputee rehabilitation services, creating a financial barrier to accessing such services for a large number of amputees. For those four years Mohammed relied solely on a pair of crutches to ambulate. 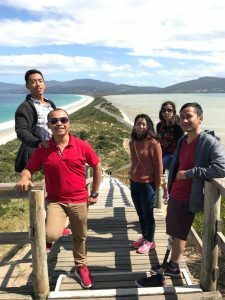 The Australia Awards Scholarship is a fully funded scholarship from the Australian Department of Foreign Affairs and Trade awarded to students from low and middle-income countries. 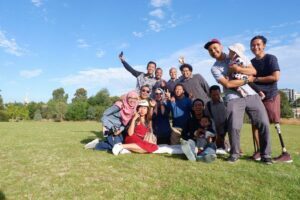 Mohammed was a recipient of this scholarship, and not only were his tuition fees covered, but his necessary health expenses, including prosthetic management were also supported. Mohammed was given the opportunity to be fitted with his first prosthesis. Being fitted with a prosthesis for the first time can be an unusual and quite often challenging experience. In almost every case it requires significant amounts of time and practice in order to develop an ability to control the prosthesis and restore as much function as possible post-amputation. 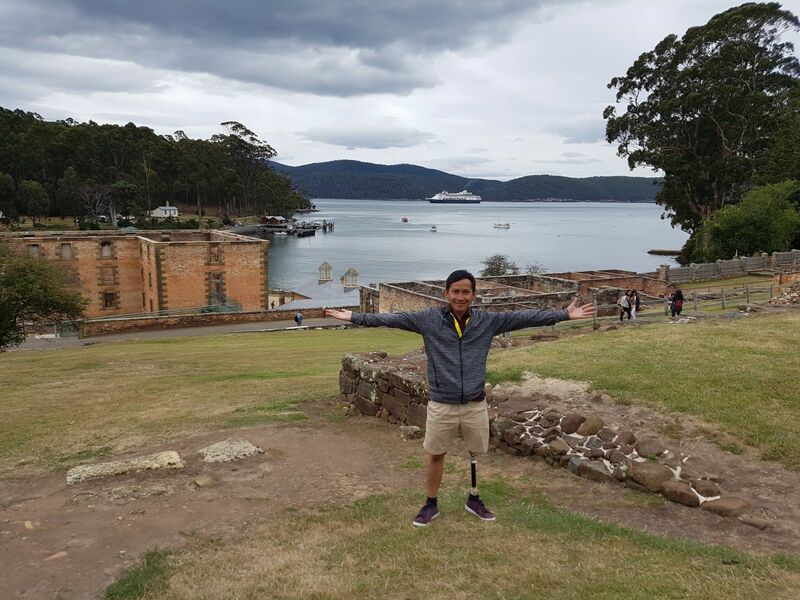 For Mohammed, learning to walk again posed an even more significant challenge given that his residual limb presented with marked weakness having not been used for the four years prior. Furthermore, he was simultaneously juggling full-time study in his second language and was also adapting to a new culture. Nevertheless, Mohammed rose to the challenges always with a smile on his face and great gratitude for the opportunity which he had been offered. Over the course of a 10 months period, he received gait and strength training under the guidance of physiotherapist Jemma Keeves and his prosthesis was adjusted accordingly as his ability to ambulate with the prosthesis continually developed. This concerted effort put into his prosthetic training has gone a long way and is a great example of how far strong will and persistence can take a person. On every occasion Mohammed came into ProMotion, there was an obvious improvement in his strength and mobility. From using a pair of crutches upon first prosthetic fitting to only a single-point stick for walking long distances and even climbing jungle gyms for a bit of fun, we were always thoroughly impressed. 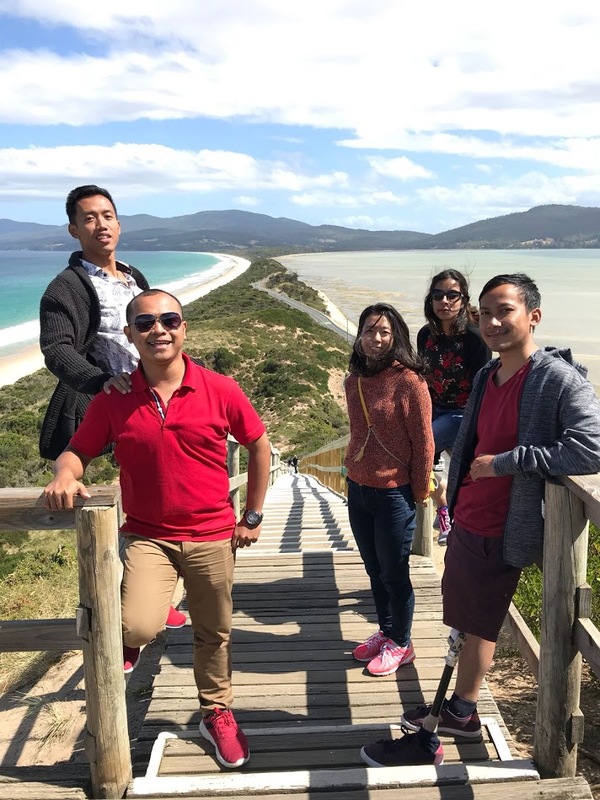 These improvements allowed Mohammed not only an ability to walk from class to class all over Melbourne Uni, but also opened up opportunities to see more of Australia while he was here, enjoying visits to Adelaide and especially Tasmania along the way (look at that smile!). Mohammed has now completed his studies, passing with flying colours. We must offer our greatest congratulations to him and all of his achievements over the past year. It has no doubt been a challenging road he has travelled but has done so always with great diligence and resilience. 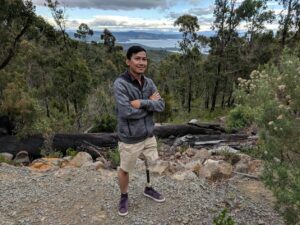 going very well now that he is back home and is pursuing work as a lawyer in either Surabaya or Jakarta, where he will have easier access to continuing prosthetic services. Mohammed you have been an absolute pleasure to work with. All of us at ProMotion and your physiotherapist Jemma wish you all the very best success in your future career. You’re a shining example of the impact that a positive attitude and determination can have on a person and everyone around them. Hopefully we will have the chance to see you again someday. 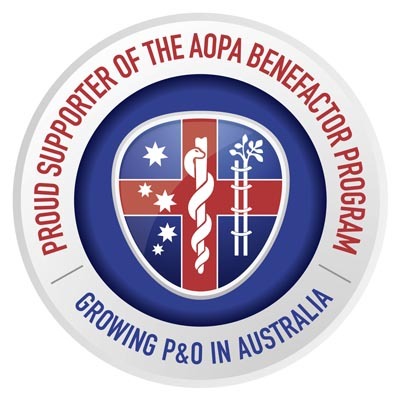 For more information on the Australia Awards Program. This entry was posted in Blog Post and tagged Amputee, Australia, Australia Awards, Australia Awards Scholarship, ProMotion Prosthetics, Prosthetics. Bookmark the permalink.